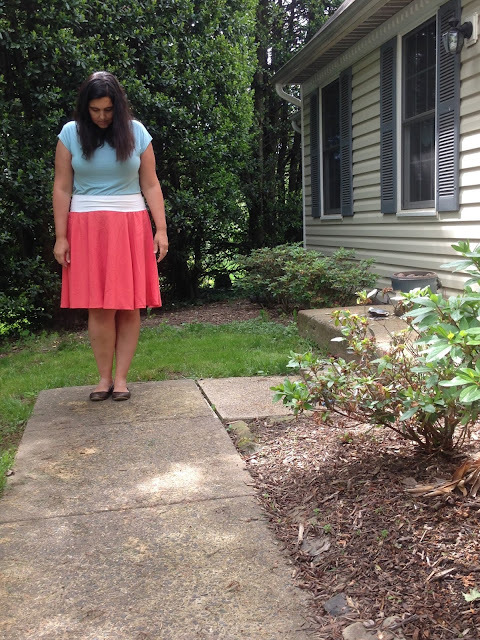 I think it's great that you tested this skirt not knowing it was a circle skirt because it looks terrific on you! Love the color, too. Now I can't wait to make one for myself! Thanks, Emi! It was definitely a happy accident. I think this dropped waist silhouette is SUPER FLATTERING on you. Far from adding bulk (you're right that the fabric helps), it shows off your curves and skims over your hips and looks wonderfully swishy to wear! Sometimes it's good to get outside your comfort zone and try something new! You could have witten my blogpost on this skirt, so funny!! LOL, thanks - looking forward to seeing your blog post! I think this skirt looks amazing on you! 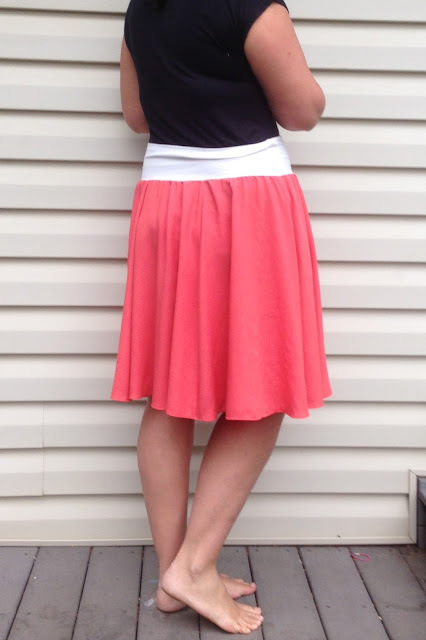 Super flattering and just plain cute:). High five! 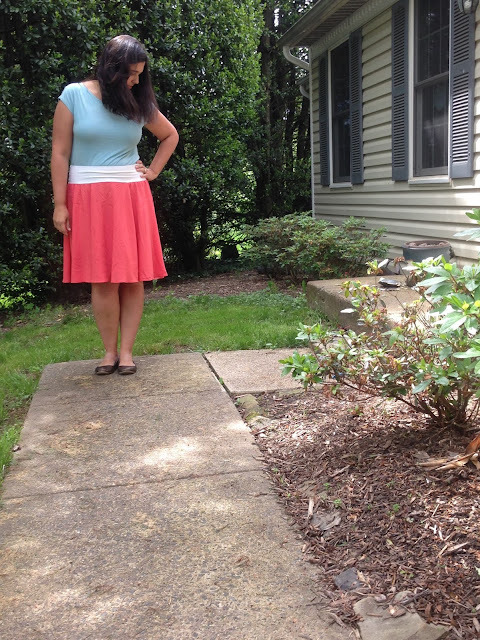 I love circle skirts! You make me feel wanting to sew on for myself! Really smart yoga waistband does reduce bulk. You look beautiful! That color is divine. I love me some challis, too! Clever fabric choice Masha, it looks lovely! The skirt looks great, Masha. 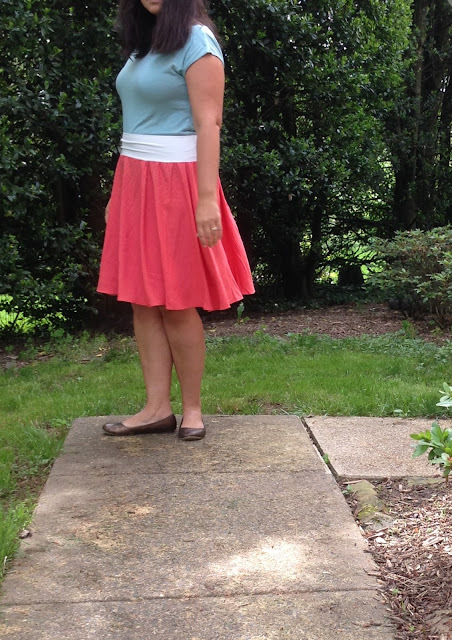 I think the waistband makes all the difference, and, of course, using super-drapy fabric too. Love this colour on you. Thanks Marisa - the yoga waistband is really a genius idea! 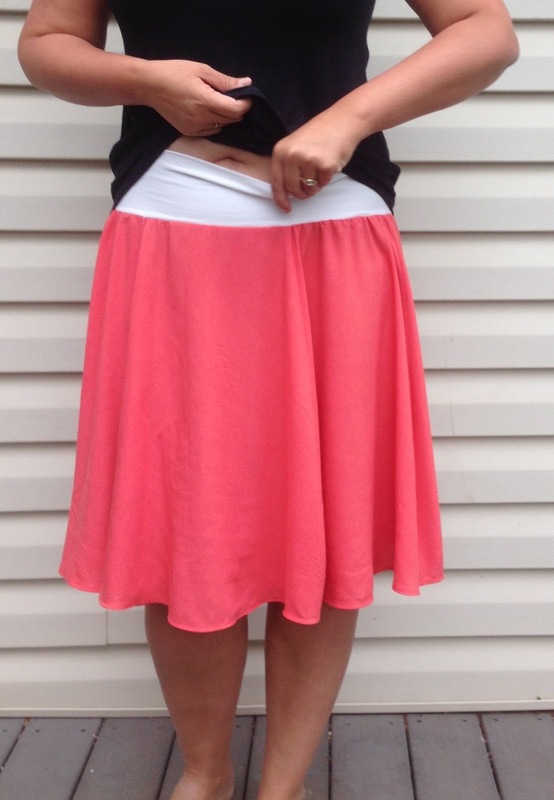 The skirt looks great on you - the colour is wonderful!